you can see it on Mardi Gras Indians and members of Mardi Gras parade krewes and marching groups. 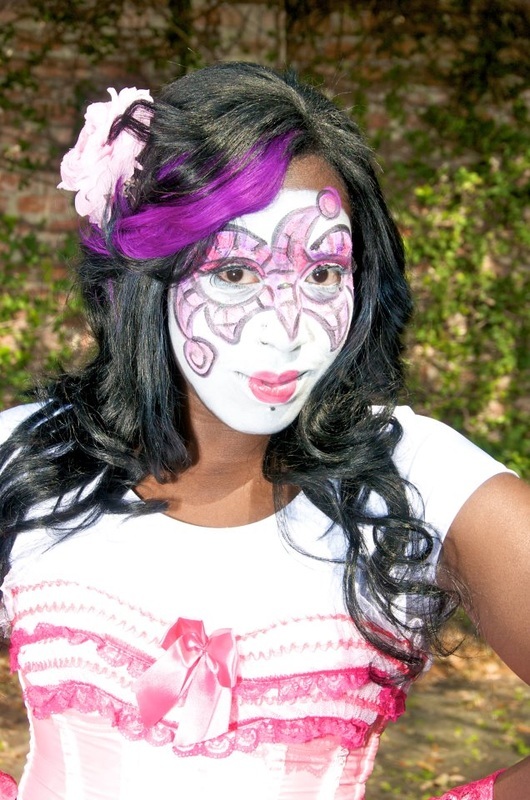 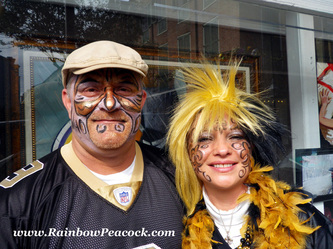 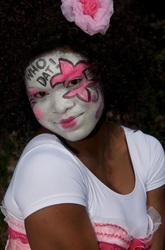 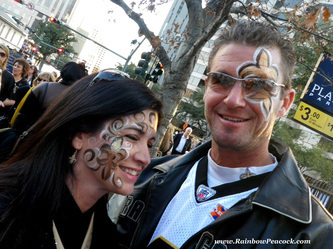 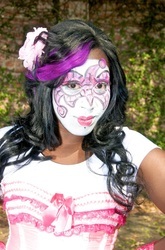 And Saints and LSU fans love getting their faces painted! 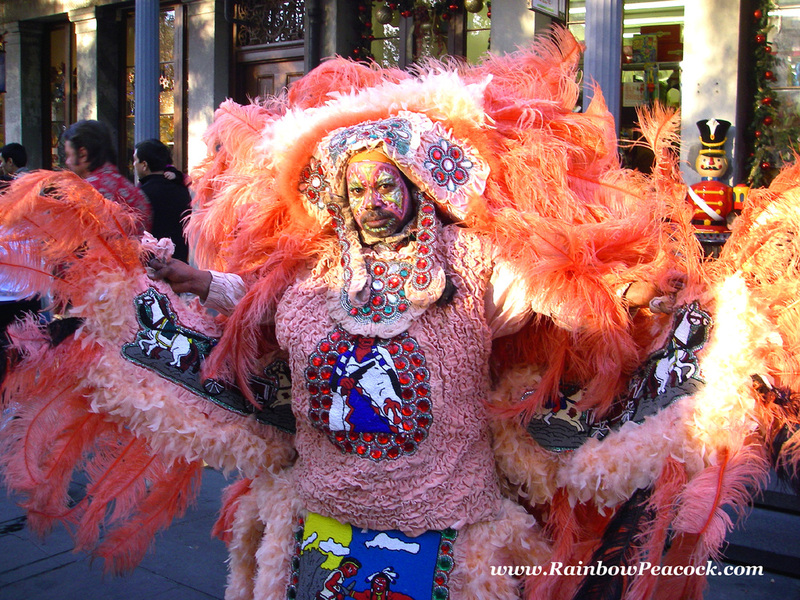 Here are a couple of pictures of Mardi Gras Indian, street performing on Jackson Square, I painted his face to match his suit. 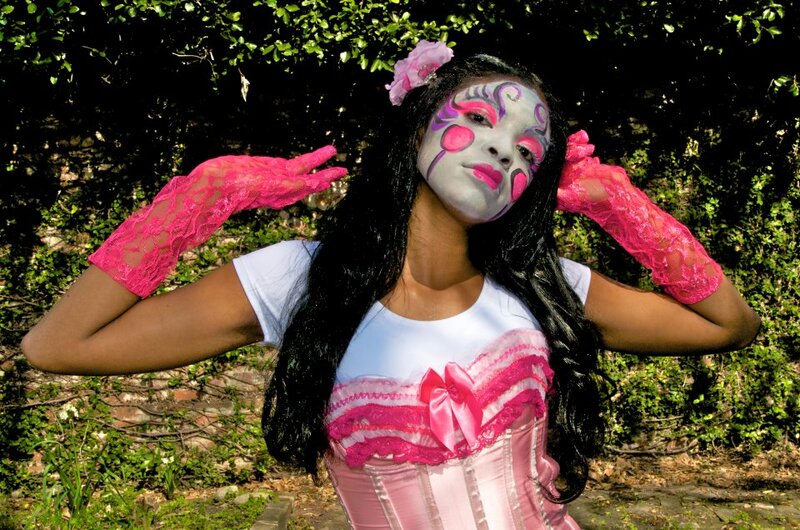 New Orleans Society of Dance is one of New Orleans Baby Dolls groups - these are female dancing groups performing during Mardi Gras and other festivals, parties and events. 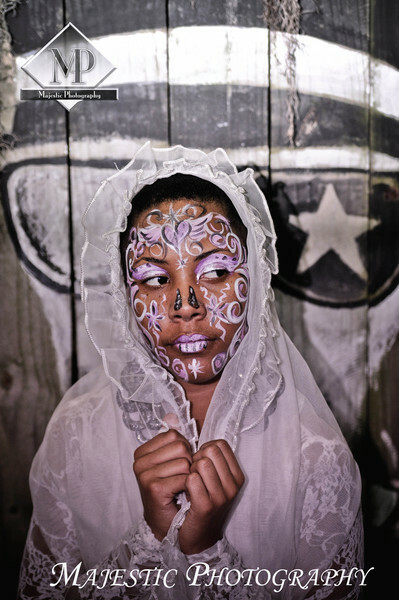 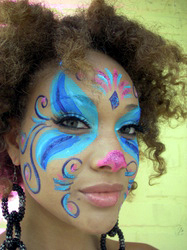 I have been working with them as a face-painter for several years, and did their make-up for Spike Lee documentarie and several photo-shoots. Call 404-717-2350 to book them for a party or an event. 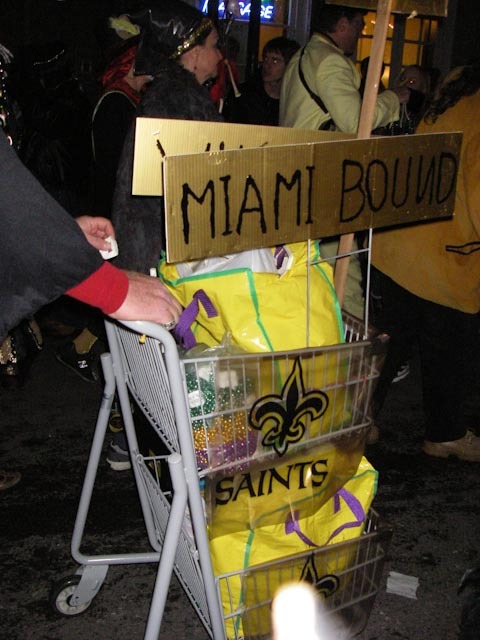 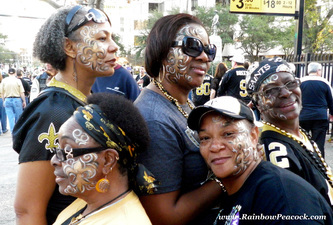 Here are some pictures from Saints tailgate parties. 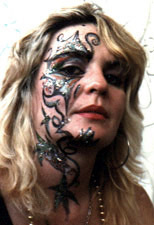 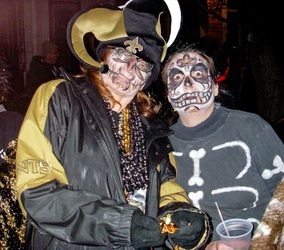 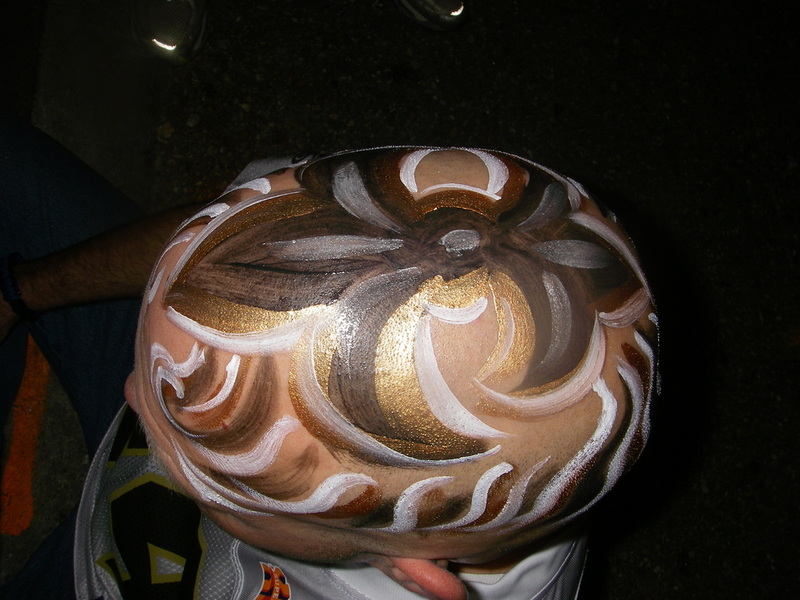 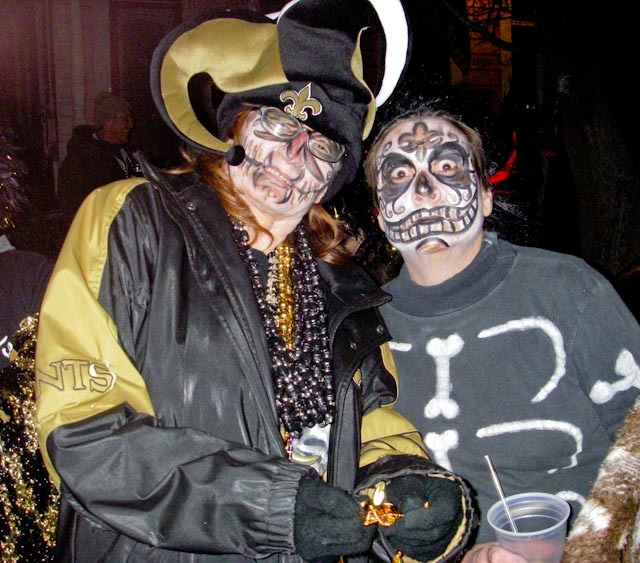 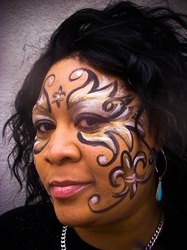 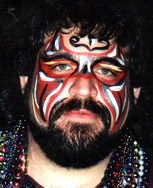 I paints lots of leur-de-lis on people on the street and at private parties - and in 2010 most of my face-painting was black-and-gold! 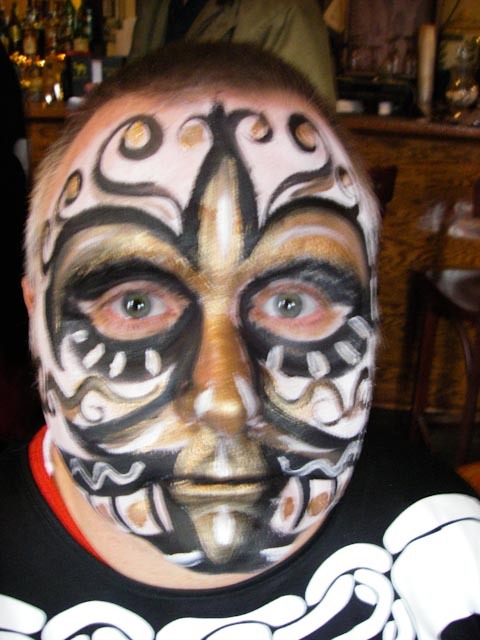 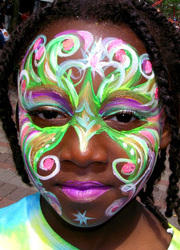 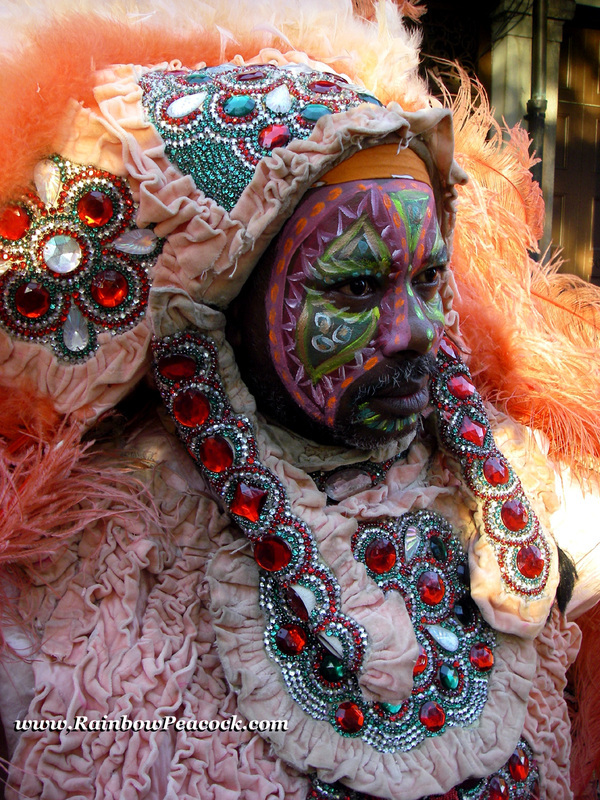 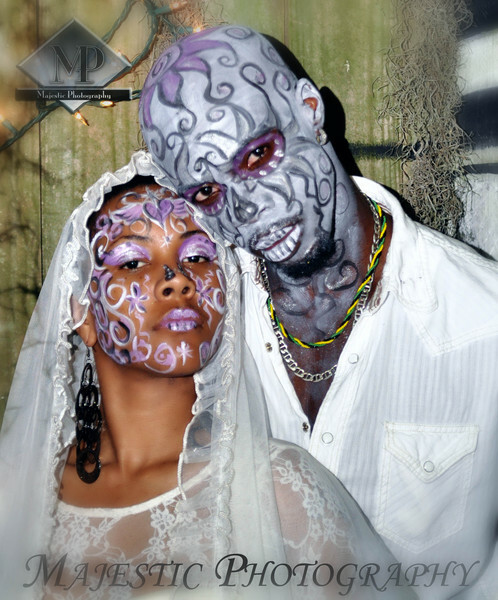 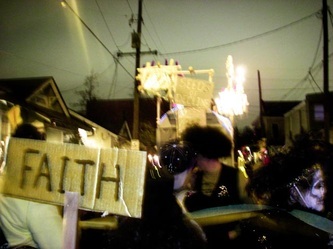 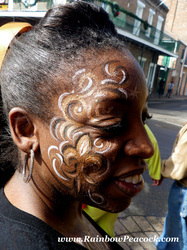 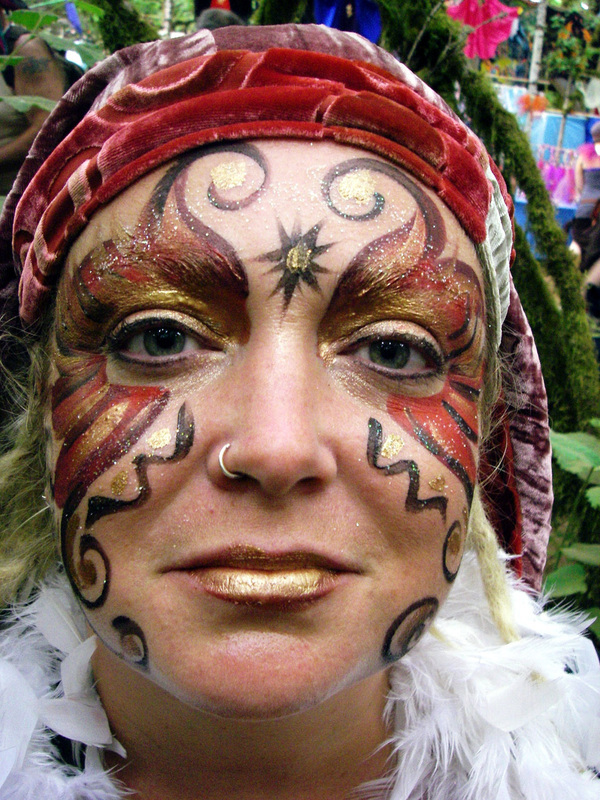 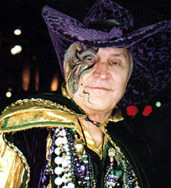 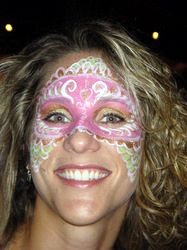 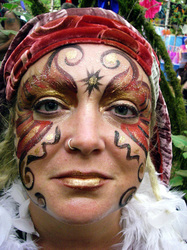 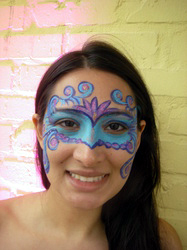 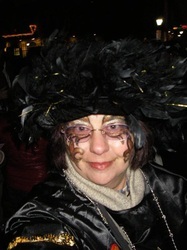 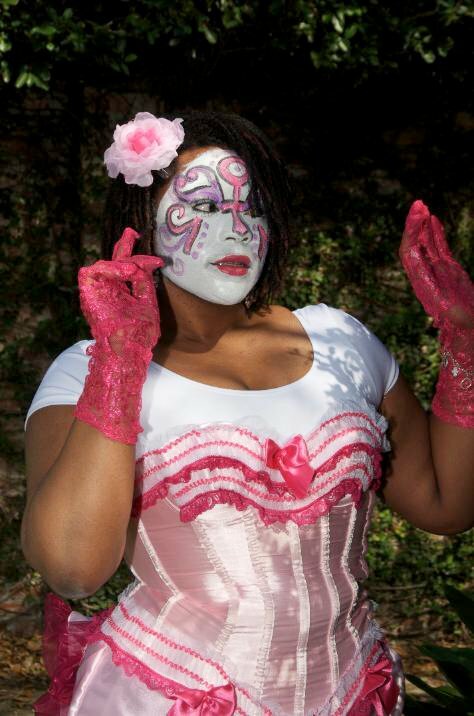 I have been painting faces for Krewe De Vieux for about 10 years, and joined it in 2007. I paint during at pre-parade party, and I paint onlookers while marching - just really quick cheek-stuff - this is my throw! 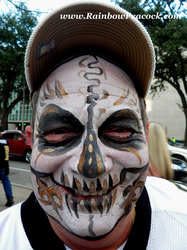 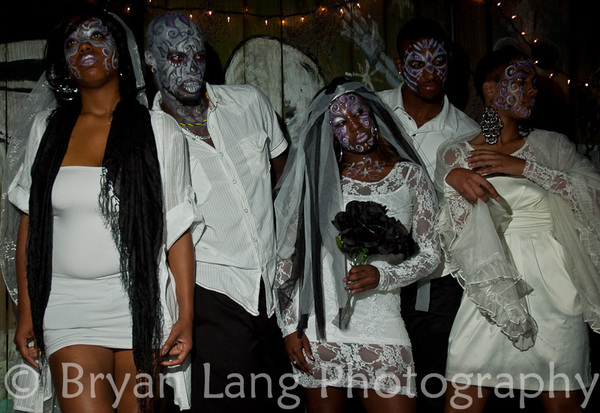 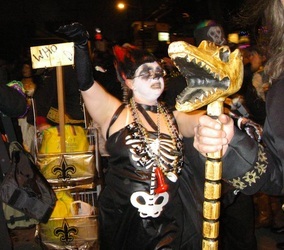 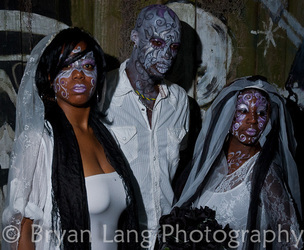 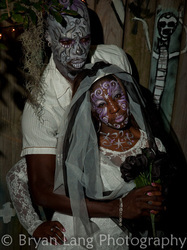 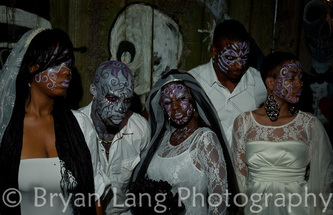 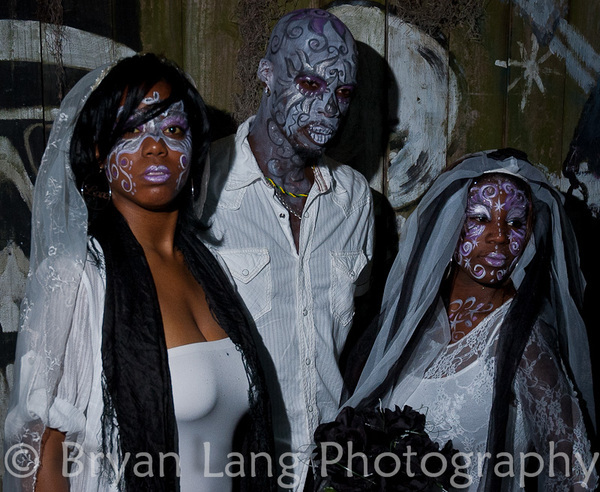 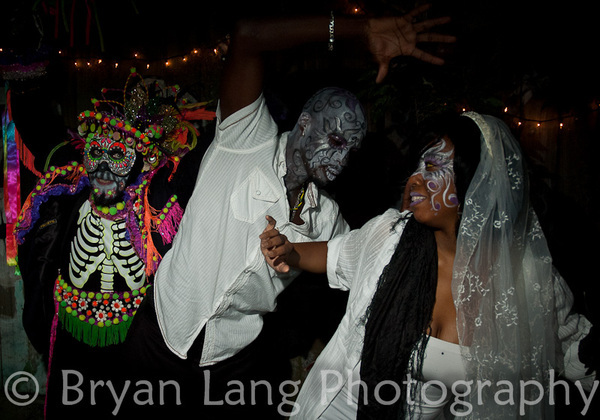 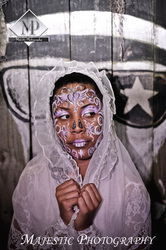 Here are some pictures of 2010 Seeds of Decline sub-krewe, they all wanted to be painted as Mexican Skulls.